New ways to keep food fresh. This reusable carry-all bag is the right size for a trip to the grocery store and strong enough to hold all your fruits, vegetables and other food staples. Made with food-grade fabric and our BacLock* lining. Get more than one so you’ll be able to carry all your purchases home the Earth-friendly way. 32 cm x 21 cm x 36.5 cm / 12.6" x 8.3" x 14.1"
Single-use plastic and paper bags are now banned in many cities. Plastic pollutes highways, streams and waterways and can leach harmful chemicals. Paper bags consume a lot of resources to make. In addition, these types of bags can easily split, break or rip, and they’re unsanitary for reuse. 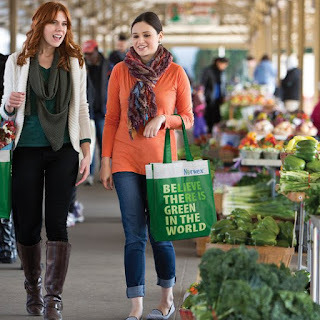 Eliminate thousands of single-use bags, go green and save money by using the Reusable Grocery Bag with BacLock*—the perfect alternative to plastic and paper bags. • Carry several with you in your car to have handy any time you go shopping. • Makes a good carry-all for trips to the beach, camping and other outdoor activities. 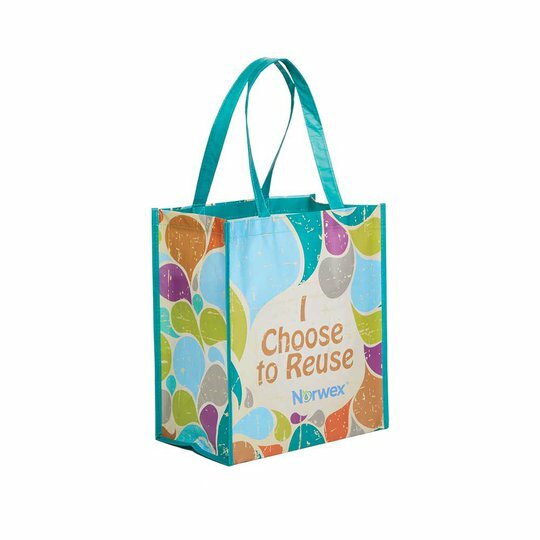 • Makes a great conversation-starter for the Norwex Consultant—at the grocery store, soccer field or public library. • Wipe clean with a damp EnviroCloth®; air dry. • BacLock* lining is solely designed to inhibit bacterial odor, mold and/or mildew growth within the product. • It takes more than 100 years for one plastic bag to decompose, making a significant adverse short- and longterm impact on marine ecosystems, solid waste management, global resource consumption and litter. 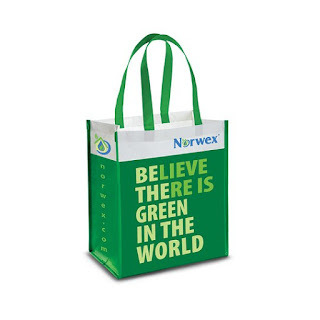 • More than 1 million plastic bags are used every minute. 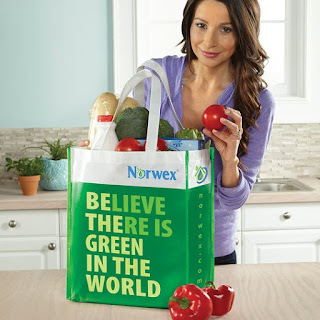 • On average, one family accumulates 60 plastic bags in only four trips to the grocery store. Exfoliating whisks away complexion-dulling dead skin cells to reveal fresher, smoother skin! 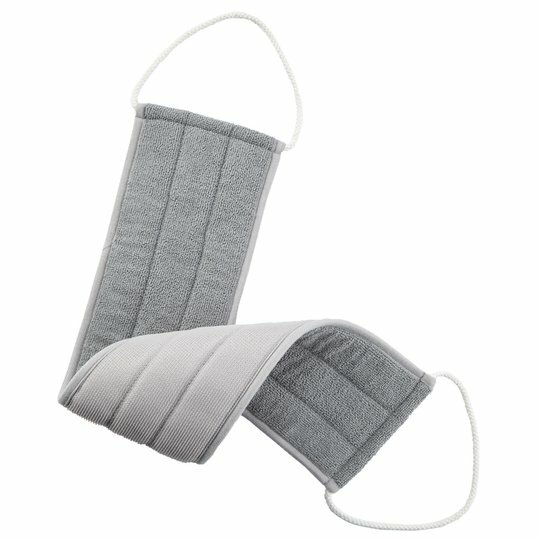 The dual-handle Back Scrubber pulls double duty to clean and mildly exfoliate those hard-to-reach places without the strain of twisting and turning to reveal your best skin possible. Your skin will look silky soft and more radiant, and feel smoother and rejuvenated after one shower. Great for neck, shoulders and feet, too. 13 cm x 65 cm / 5.1" x 24.4"
Do you feel like a contortionist when trying to clean and exfoliate the skin on your back? So you think, “Out of sight, out of mind. Nobody is going to see it.” You’ll just live with the rough, dry skin and uneven skin tone. 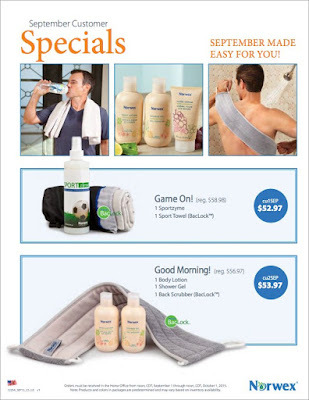 Get smoother skin while experiencing a spa-like treatment at home! Rejuvenate and clean your skin with our easy-to-use, mildly exfoliating Back Scrubber with BacLock®* technology. Grab the handles with each hand and position it across your back. With mesh side touching your back, use a back-and-forth motion to exfoliate skin. Hang to dry. Launder in the Washing Net with using a Norwex laundry detergent, which contains no fillers, after heavy use. Dual-handle and easy-to-grip design minimize twisting and turning. BacLock®*, the micro silver agent in the cloth, goes to work with self-purification properties against mold, fungi and bacterial odor within 24 hours so that it is ready to use again. Exfoliating not only whisks away complexion-dulling dead skin cells, it also helps with hydration by revealing new skin that brings essential lipids and moisture to the skin's topmost layer. Remember, Qualified Party Total and a party booking determine which level of the monthly Host Special that your Host qualifies for. For each booking, the Host will receive a Window Cloth. Bookings must be held within 45 days of the party date to qualify for the Host gift. To qualify for Spetember Specials: Sales must be received at Home Office after 12:00 p.m., CDT (noon) on September 1 and before 12:00 p.m., CDT (noon) on October 1, 2015. Note: Products in packages are pre-determined and may vary based on inventory availability. Qualified Party Total, minimum 3 buying guest orders and 1 party booking are required to achieve a Host Special award. Join for FREE in September! Jump In! Now is the time! 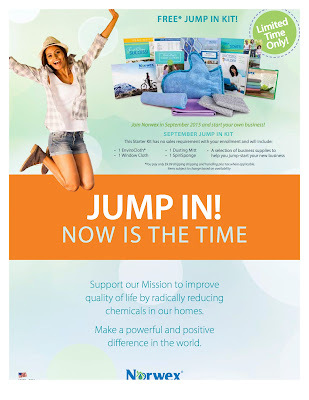 Support our Mission to improve quality of life by radically reducing chemicals in our homes. Make a powerful and positive difference in the world. 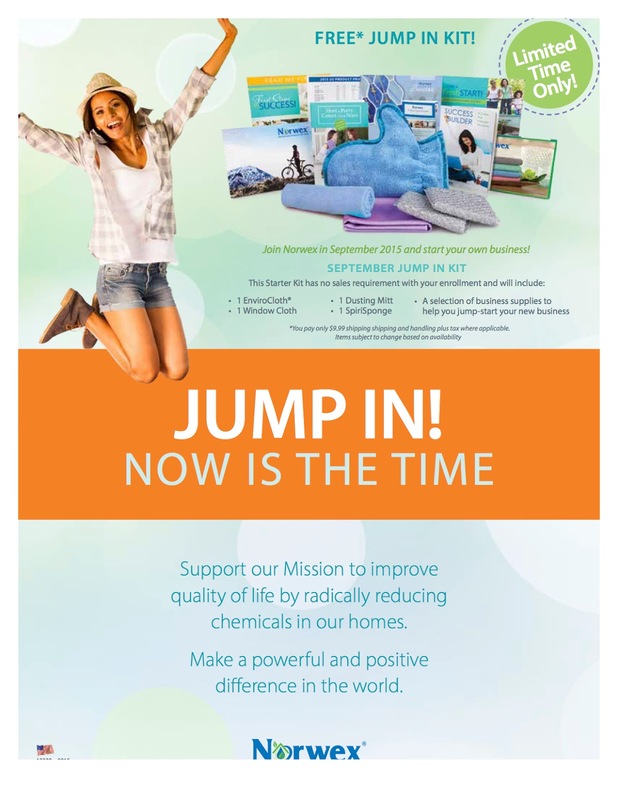 Join Norwex in September 2015 and start your own business! Optional upgrade packages are available. 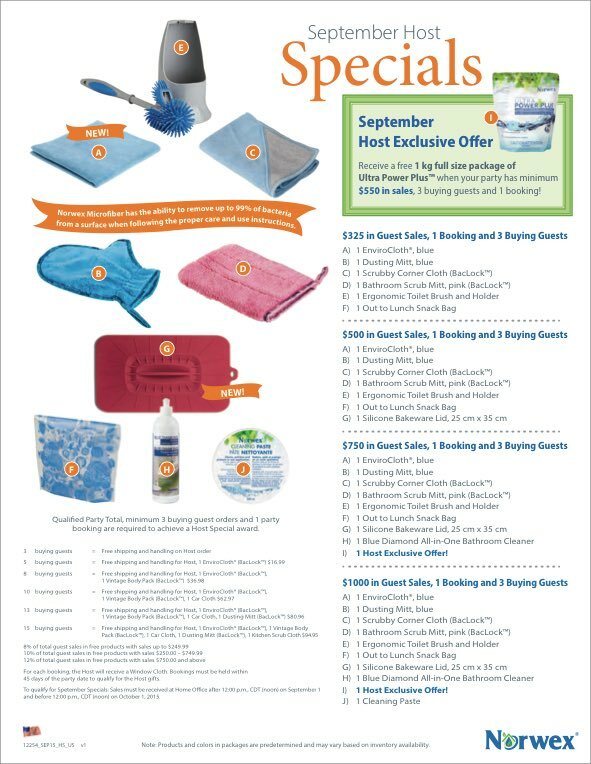 Upgrade packages are specifically designed to complement your Starter Kit and make your parties even more successful by allowing you to demonstrate more products. 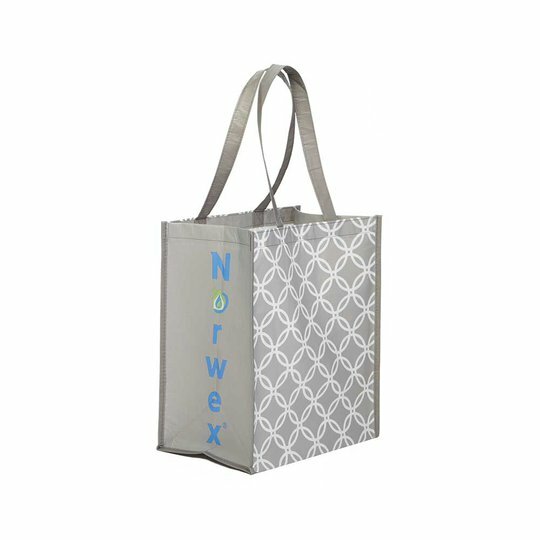 Select one of three upgrade package options when you join Norwex. If this opportunity is something you'd like to learn more about, please contact me today.